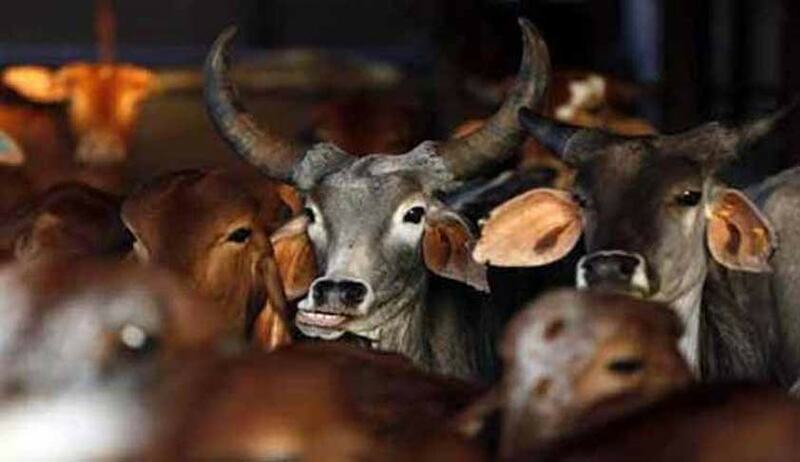 The Supreme Court today issued notice to Maharashtra government and Centre on a petition against the May 6 order of the Bombay High Court which upheld the ban on cow slaughter in the state under the amended Maharashtra Animals Preservation (Amendment) Act, 2015. The SLP was filed by 30 Maharashtra-based social activists through senior lawyer and former Additional Solicitor General Indira Jaising .But if it is allowed, is definitely going to have an impact on all states where cow slaughter or beef eating is banned. Significantly they have linked the issue to violation of “one’s right to choose his food”, a violation of right to live (Art 21) of the constitution and “supply of essential proteins”. A bench of justice A K Sikri and Y Chandrachud also issued notices in four other petitions on the issue filed butchers assiciation, farmers, religious bodies. All of them have been tagged with a separate petition filed by the Akhil Bharat Krishi Goseva Sangh which challenged the Bombay High Court order allowing possession and consumption of beef brought into Maharashtra from outside the State. The court had on August 17 issued notice on that petition. All the pleas have been fixed for hearing after six weeks. The most important petition was the petition filed by Jaising. She has pointed out that those who consume beef as a part of their regular diet are predominantly from the lower socio-economic strata of society, are predominantly members of SC/ST and Muslim community, and therefore the effect of restriction on access to cheap and nutritious food that is a part of their regular diet is extraordinarily intense and cannot be legally sustained. The plea also demands “decriminalization of food habits”. The preliminary question asked in Jaising"s plea Whether the Hon’ble High Court was justified in upholding the validity of Section 5, and consequently Sections 5A and 5B, and 5C, thereby extending the complete ban on the slaughter of cows to bulls and bullocks without even considering all the submissions, facts and quantitative data submitted by the various petitioners before it? The state had unsuccessfully argued that striking down these provisions will make it difficult to implement the beef ban.